We're so excited about all the amazing submissions we've received for the Take Care of Texas Video Contest—thank you for making it another great year! It's time to wrap up filming and send us your videos. Remember, all entries must be uploaded by 4:00 p.m. CST on Dec. 14. Avoid any last-minute issues and submit your videos ahead of the deadline. Questions? Please contact us at Educate@TCEQ.Texas.Gov. 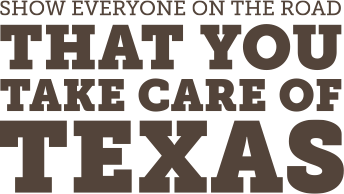 Included the slogan “Take Care of Texas. 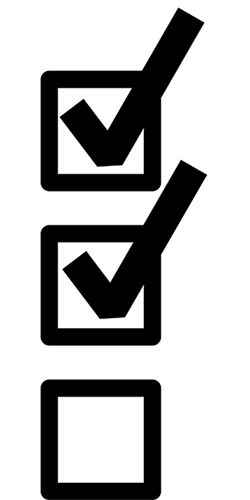 It’s the only one we’ve got.” and/or the logo provided on the Tips for Creating Videos page. Have your signed Video Contest Entry Form and Agreement. Have a Video Script in .pdf, .docx, .txt, or .rtf. Included credits on your Reference Sheet for all information, statistics, and facts. Included credits on your Reference Sheet for all unoriginal content including music, images, and video footage. Proofread your videos for spelling and grammatical errors. Saved your file in a format at least 1280x720p, preferably 1920x1080p. Edited your video to the proper length, 30 seconds. Reviewed the complete Contest Rules and visited our website for detailed contest information. Six lucky students from each grade group, 6-8 and 9-12, will be selected to go to the second round of judging. During the second round, the public will get the opportunity to vote for their favorites and decide which students make it to the final round. Scholarships up to $2,500 for 9th - 12th grade winners. GoPro Camera Packages for 6th - 8th grade winners.